TV has evolved into a performance-marketing channel that can be measured and optimized in the same way as digital. 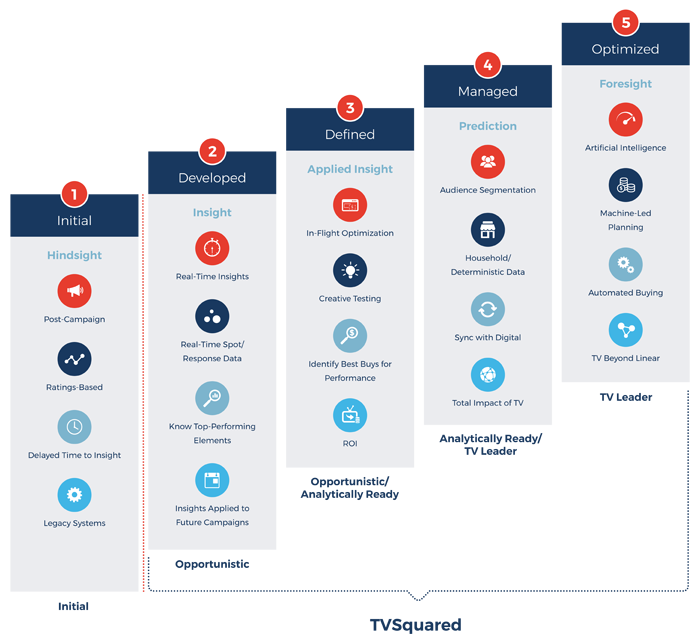 This quick evaluation gives you an understanding of where you are in terms of TV maturity, and will set you on a path to build upon and evolve your TV strategy. 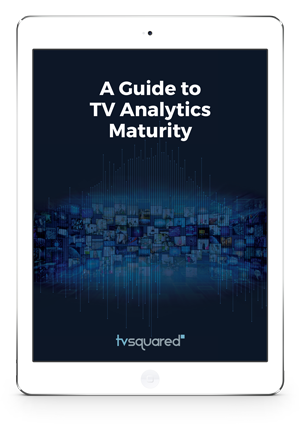 TVSquared can help your brand evolve to higher levels on the TV Analytics Maturity Model. Whether you are new to TV advertising, looking to transform your TV initiatives from branding to response, or continuing to build on your analytical capabilities and buying complexities, we can help. Discover which level you’re in and how you can continue to evolve. 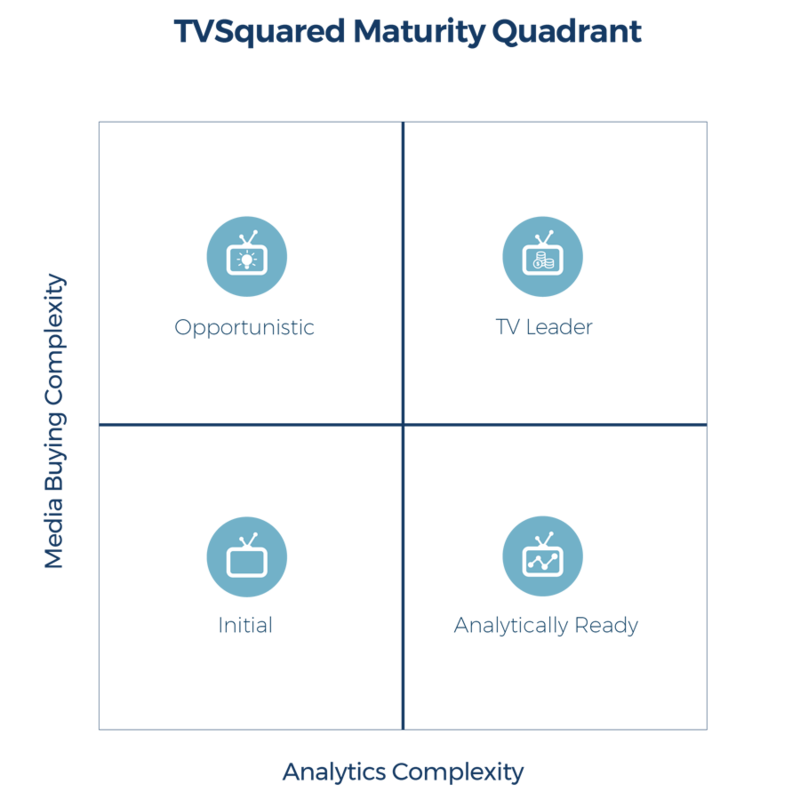 Learn more about TVSquared’s levels of TV maturity and how you can become a TV leader.